This badge holder is a Project Manager who works independently and keeps leadership promptly apprised of work status, raising issues of risk to the appropriate level and at the appropriate time. Works effectively and efficiently with minimal oversight, advises and provides guidance to other professionals. Seeks guidance on key issues as appropriate. Has a solid level of expertise in the capability. 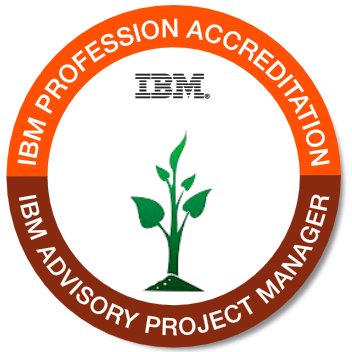 This badge is only available for IBM employees. Achieved an Experienced level in Career Framework in the Managing Project and Programs capability.